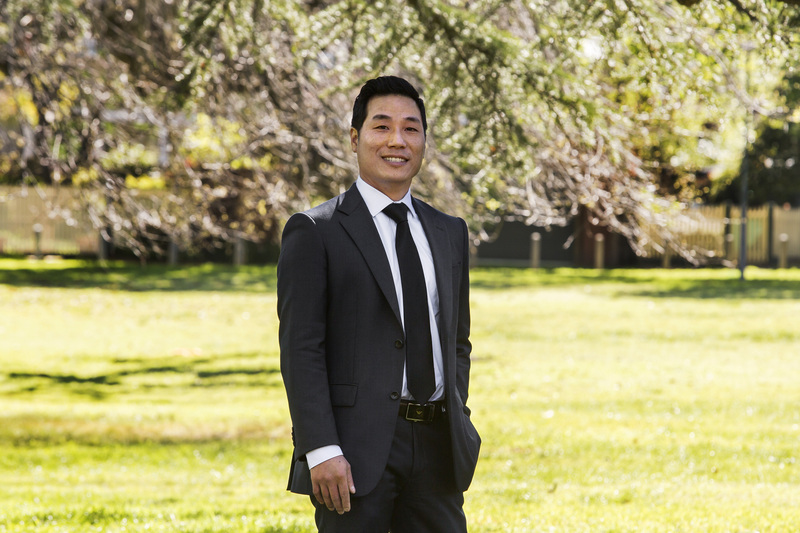 Combining an eye for excellence in design and a commitment to customer service with the ability to communicate fluently in Mandarin and Cantonese, Danny possesses all the natural advantages to succeed in real estate. Specialising in assisting both buyers and sellers in the Boroondara area, Danny's considered and knowledgeable advice is tailored to each client's particular real estate requirements. An excellent listener, he understands the importance of establishing an open and honest flow of communication at all times - “for me it is all about taking the time to learn what my client wants to achieve and then putting in place a plan to enable this to happen”. Hard working, passionate, meticulous with detail and follow through, Danny has consistently produced outstanding results for his clients at Marshall White One. A long time fan of AFL and a steadfast Essendon supporter, Danny loves watching football in his spare time along with spending as much time as possible with his wife, Jade. My experience with Marshall White One was a very smooth and successful one. Luke and Danny are a fantastic team. I was a first time seller and they took the time to walk me through the whole process, explain the strategies they use and answer all the questions we could think of. They were very accommodating and willing to assist and provided advice throughout. They provided a high level of service and kept me well informed throughout the campaign. It all went very smoothly and successfully and achieved a result way above my expectations. I would definitely give my highest recommendation to anyone considering their services. I shouldn't forget to mention Amy's good work in the back end keeping it all running smoothly too! Zoran and I just wanted to say a very big thankyou for everything. The process, campaign and auction day has been extremely professional and enjoyable, you have made it a great experience. Today was tough as we have put a lot into the house and are sad to let it go. However we are very happy with the price and thanks for being a fabulous team, we would recommend you any day of the week! Speak to you soon. Please accept our congratulations on a job superbly well done regarding the sale of our home in Hawthorn, Victoria. We were thoroughly impressed with your positive attitude to the task, your professionalism and your keeping us completely and regularly informed of both the good news, and where there was any, the bad news. You are courteous, respectful of your clients and their properties and leave no stone unturned to find the right buyers for your clients at the right prices. Your sound ethics stand you in good stead with buyers and vendors. You are not out to leave anyone disadvantaged. You are most impressive and we thank you sincerely. We recently sold our property with Marshall White one and we were impressed with the quality of the service we received from Danny See! Danny was very thorough in his preparation for the sale! He was very knowledgeable about sales in the local market and was very realistic in his appraisal of our property. Danny was very reliable and kept us fully informed at all stages of the campaign. When deciding to sell my unit It was recommended that I use Marshall White One. From the first meeting, Danny See was informative and as the selling process continued he kept us informed of open day attendances and the ongoing progress. He was most astute in assessing those inspecting and identifying prospective bidders, all of which proved correct on the day of the auction. Luke, as auctioneer, advised us clearly of the possible options that may occur at the auction. During the auction Danny and Luke worked as well as a team and achieved an excellent result for us. I would recommend Marshall White One when selling your property. "After making the difficult decision to sell my first property, Danny professionally and carefully led me through the auction process. Danny was meticulous in his organisation, planning and strategy which resulted in obtaining the best possible price for my property. I could not fault the service and in my case while prepared for any ups and downs, the auction campaign ran smoothly from start to finish. I felt that I did not have to worry about anything as I was kept up to date consistently, and I could trust everything that was communicated to me. I would highly recommend Danny See as an honest, professional agent, and Luke too as auctioneer was fantastic to deal with. " Thanks to Danny See particularly for the success of this campaign. We noted that it was his attention to detail, communication, and follow-up skills that were key to having so many people interested and bidding in the property. As well as constantly keeping us in the loop. Thanks again so much for the effort. Thank you very much!!! Couldn't have done it without your advice, support, hard work, patience, tenacity and dedication to the case. Your name will definitely be on top of my list if I need to sell another property in the future. Just a token of appreciation for the hard work and tremendous effort you put into our campaign. It was a team effort I know, but I also know you went above and beyond for us and we are really grateful. A fantastic outcome for us. Your style, professionalism and communication was beyond expectations. We have recently sold our unit in Camberwell through Danny See from Marshall White One, and would be happy to pass our recommendation on what a great experience this was, considering how stressful it can be selling property. Danny was very proactive in keeping us informed at every point of the campaign, and making sure we were comfortable with the process to achieve a great result. Having used the services of Hamish Tostevin twice previously and developing a close relationship with Marshall White, it was an easy decision to use them for a third time, and the result more than met our expectations. We briefly considered using one of the “self sell” type options, but after assessing the risks of getting a cheap selling cost against getting the best possible coverage and result, we were happy to put our property in Marshall White’s hands. There is no doubt that the opportunity to utilise their considerable data base together with the professional approach they display, is key to keeping calm and putting our faith in them producing the successful and least stressful outcome achieved. I would be happy to pass on verbal confirmation of this letter, if required as we are happy to endorse this written recommendation for Marshall White One and their team. It is with pleasure we write this testimonial for Mr. Danny See of Marshall White One, Hawthorn. We found Danny to be friendly, honest and professional. As we reside in Queensland and had never met Danny it was comforting to have chosen someone we could trust. He made the whole process of getting our small property ready for sale, and the successful out come at the end, totally stress free. Brian and I would have no hesitation in recommending Danny See to anyone, who is thinking of selling a property. Danny See was friendly, enthusiastic, and a delight to work with. His knowledge and advice were invaluable, and my property sold for 12% more than expected, before auction, and with a short settlement period - an excellent result when you have a bridging loan! This was all down to Danny's negotiating skills and unwavering dedication; I know he spent several hours talking with the purchaser outside normal business hours to close the sale. The office staff at Marshall White One were also on-the-ball, and I never had to chase them up for anything. Danny and Bethany were an absolute delight to work with. Apart from excellent interpersonal skills/emotional intelligence, they were honest, astute and had a lot of property nous. They have a lot of local knowledge and helped me strategically position my property within my budgetary parameters. Very response, proactive and engaging, they make a great dynamic team. I had full confidence in their ability to develop and build relationships with a diverse range of potential clients. I highly recommend working with Danny and Bethany. Dear Michael and Danny We were vey pleased with the campaign for the sale of our property. The professionalism and commitment to the compaign shown by you both was outstanding. The result being $200,000 above our reserve was of course much greater than our expectation. We feel that this was achieved from the very start of the campaign, with excellent feedback immediately after every inspection, reporting of any interest or change of heart of prospective purchasers, the obvious support given to prospective purchasers to encourage and keep them abreast of market interest and legalities. (In this case the property was leased and some last minute requests did present.) The result achieved was due to excellent attention to detail and an exceptionally well conducted auction. Our sincere thanks.